To deepen our understanding of Easter, we can revisit God’s creation of the universe and the history of his salvation of humankind. St John’s University, at Tamsui in Taiwan, celebrated its fiftieth anniversary on 29 April. The chairman of the Anglican Consultative Council, the Most Revd Dr Paul Kwong, was invited to give a speech at the ceremony. Lam Woo: Master Builder, Revolutionary, and Philanthropist, the biography of the highly regarded Hong Kong building contractor Lam Woo (1870–1933), is recently published by the Chinese University Press. HKSKH Ming Hua Theological College held its 16th graduation ceremony at St Paul’s Church on 26 February. HKSKH Welfare Council held the 21st Outstanding Volunteer Award Ceremony on 11 March. 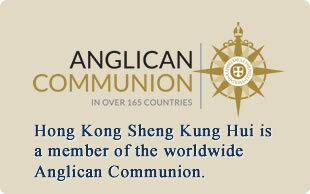 The Seventh General Synod of the Hong Kong Sheng Kung Hui (HKSKH) was held at St. James’ Church from 5 to 9 June. A total of 24 motions covering a wide range of matters were presented to the General Synod. The Hong Kong Sheng Kung Hui (HKSKH) has received a piece of land located at the junction of Castle Peak Road (Yuen Long) and Yau Tin East Road, Yuen Long, about few minutes walk from the MTR Yuen Long Station. [Vigil] O God, who made this most holy night to shine with the glory of the Lord’s resurrection: Stir up in your Church that Spirit of adoption which is given to us in Baptism, that we, being renewed both in body and mind, may worship you in sincerity and truth; through Jesus Christ our Lord, who lives and reigns with you, in the unity of the Holy Spirit, one God, now and for ever. Amen. [During the Day and Evening] O God, who for our redemption gave your only-begotten Son to the death of the cross, and by his glorious resurrection delivered us from the power of our enemy: Grant us so to die daily to sin, that we may evermore live with him in the joy of his resurrection; through Jesus Christ your Son our Lord, who lives and reigns with you and the Holy Spirit, one God, now and for ever. Amen. (or) Almighty God, who through your only-begotten Son Jesus Christ overcame death and opened to us the gate of everlasting life: Grant that we, who celebrate with joy the day of the Lord’s resurrection, may be raised from the death of sin by your life-giving Spirit; through Jesus Christ our Lord, who lives and reigns with you and the Holy Spirit, one God, now and for ever. Amen.